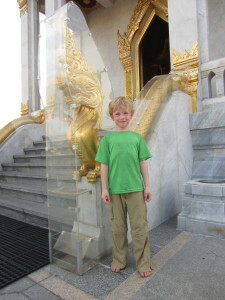 Wat Traimit, The Temple of the Golden Buddha, as described in Eric’s blog post. 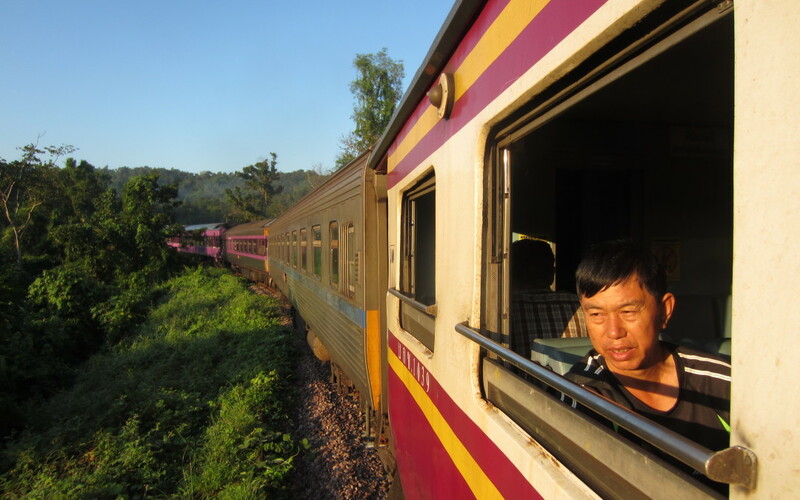 We departed Bangkok by train two nights ago, destination Chiang Mai. 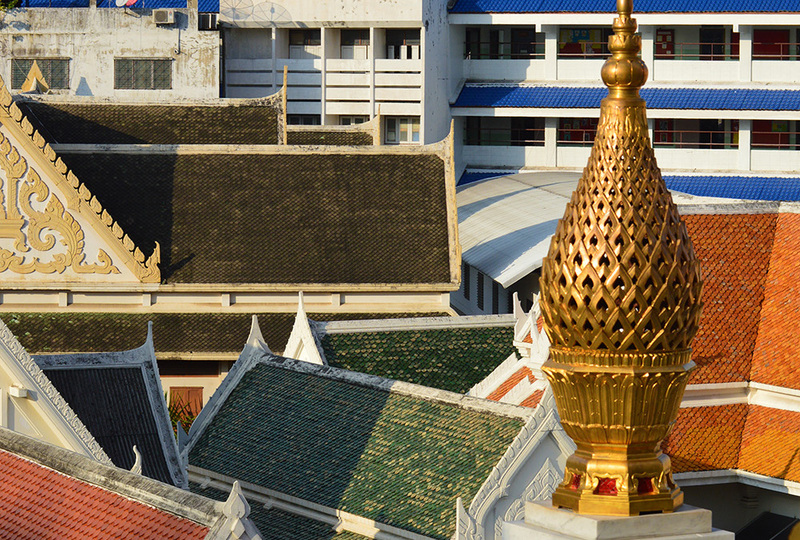 Chiang Mai is a city in the north of Thailand, about 450 miles inland (north) from Bangkok. 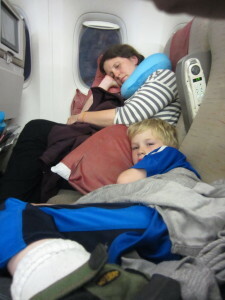 The trip took about 13 hours & all managed to get some rest through the night. We were steaming along through the mountainous jungle at sunrise. Everything is so new and exciting over here, I’m almost afraid to blink in fear of missing something. It’s good to be gone! As some of you may know, we started our trip in the Bay area. I’d like to begin by thanking Terry & Kathy Page for allowing our energized family to take over their home for a few days. Using the Page home as our initial stronghold was a fantastic way to embark upon our journey. I’d also like to thank Kelly’s close friend Chrystal and her family for welcoming us into their home for the second half of our stay in the Bay. River’s (Chrystal & Dillon’s almost two year old son) never ending smile is contagious! 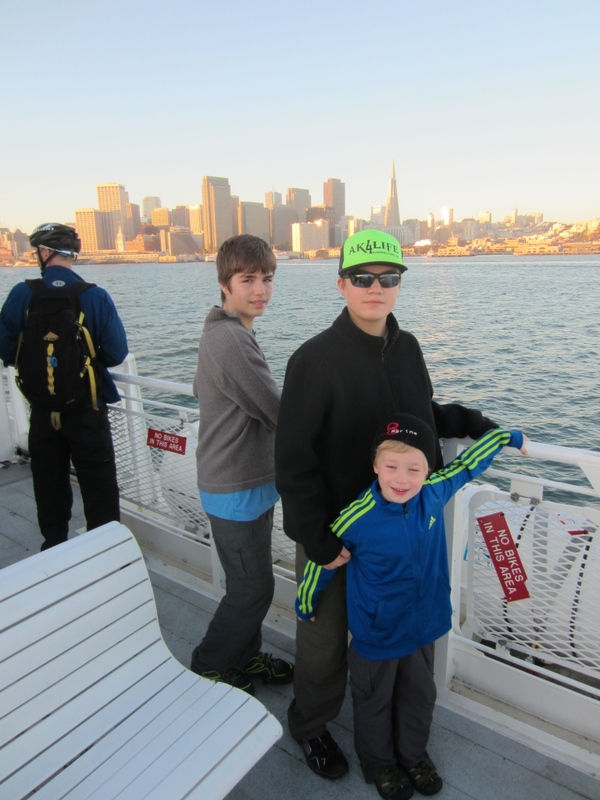 We managed to pack quite a bit of mentionable fun into our week or so stay in California. 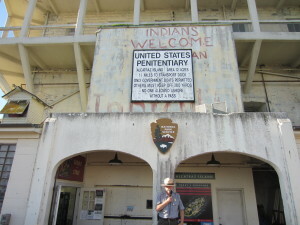 A trip to Alcatraz was my favorite tourist event. I highly recommend it to anyone spending time in the area. 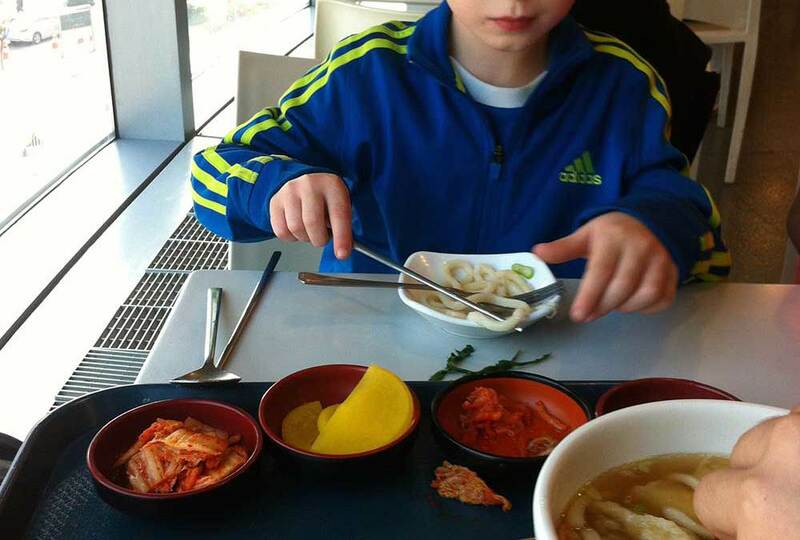 A perfect home schooling history field trip! Alex, our military history buff, was locked in that day. I had no idea there was more to “The Rock” than Al Capone. 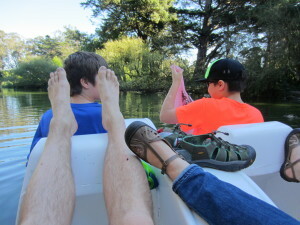 A long walk and paddle boat ride in Golden Gate park wore us out one day, a trip to Six Flags did the same on another. 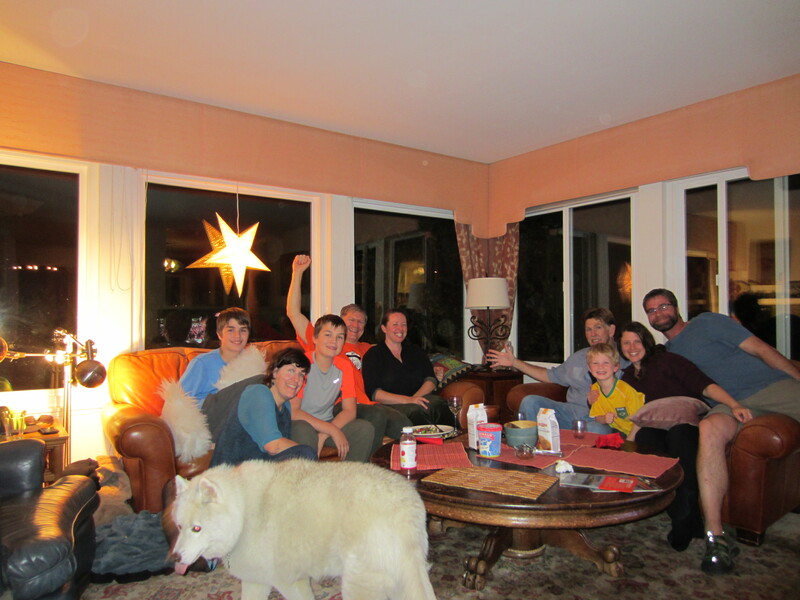 The family gathering at Uncle Terry’s, during Game 7 of the World Series was a highlight for sure. I’m not a baseball guy, but rooting for the home team was easy that night…how could we not be a Giants fan in that atmosphere? 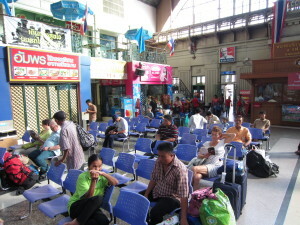 And then…there was a 40 hour train, bus, airplane ride from hell. Somewhere in he neighborhood of 8500 miles. 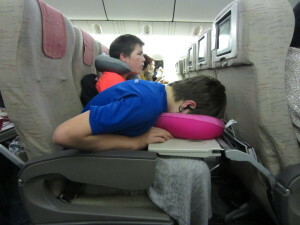 That was one long, exhausting trip. 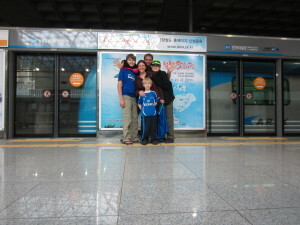 During our 12 hour layover in Korea, we hopped on a train into the city. 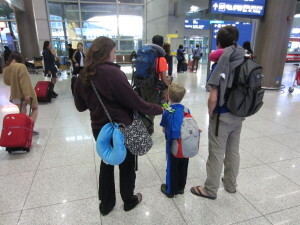 We didn’t wander far from the train station, but at least we can say we’ve all been to Seoul, South Korea! We took photos so that we could remember the brief stop during our zombie state of mind. I’m glad that marathon ain’t gonna to happen for another 5 months, because it pretty much sucked. During the last few days, we’ve managed to dig our claws into the city of Bangkok. 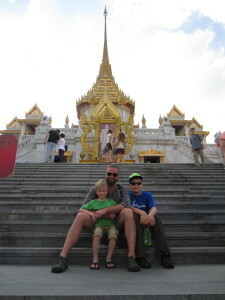 Most of us know Bangkok as the setting for the Hangover 2 movie. Though I haven’t had the opportunity to experience it in a similar way, I’m guessing that show might be a fair representation…at least in part. Take several hundred years of history, the crazy parts of NYC & SF, throw in a bunch food only seen on TV shows, add exhaust fumes, curry & stinky feet, throw in so much noise it’s just white, a bunch of drunk caucasian tourists with 14 million vertically challenged Asians, plug in every color neon and halogen light you can find, a ladyboy or two, a few large gold Buddha statues…then shake it all up. Yep, that’s my first impression of Bangkok. You’ll have to ask the boys how they feel about it yourself…I think they’re in as much awe as I am. The boys have been doing well. We’ve all had our uncomfortable moments, caused by anything from strange smells & sweaty backs (my sweat glands have been operating at max RPM’s since arrival), to hunger caused from lack of western food. 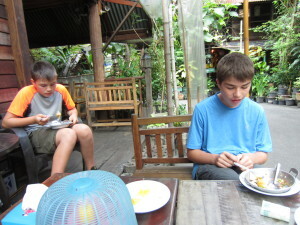 All is well though, the boys bounce back from their grumpiness way faster than I do. Kelly is, as usual, our foundation. One of the best parts of taking an extended trip like this is that there is no need to cram our days full of “must see” attractions. I think we’ll see plenty just living life for the next few months. A perfect example of this happened two days ago. We hopped on the sky transit line (one of Bangkok’s several modes of public transportation) two days ago, headed for the train station in order to purchase our tickets out of this bizarro town. After purchasing the tickets, we took a short walk over to what our little tourist map showed as “The Golden Buddha”. 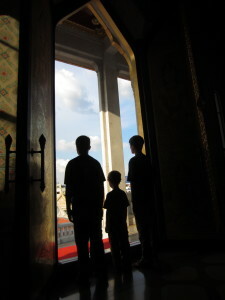 We had no idea what to expect, as none of us did any research prior to deciding to check it out. 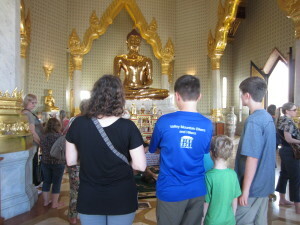 Little did we know, until after our visit & from a little help for Wikipedia, that “The Golden Buddha” is actually the largest solid gold structure made by man on earth! It weighs in at 12,000 lbs. Eh, no biggie. Wow. Read about this thing here. This random stop turned into quite the history lesson! Definitely the coolest statue I’ve ever seen. Anyway, the randomness of this visit is one of the things I’m most excited about. I’ve never been a research guy, so I need 5 months to see the cool stuff! One more thing real quick:) Sawyer is the most popular guy in town. He’s like a tourist attraction for the locals. Apparently, to Asians, little blond white kids are like little puppies or kittens are to us. At least 10 times a day he gets his cheeks pinched by women and men alike. Several people ask for photos with him. I think I’m going to start charging 100 baht per pinch and 500 per photo. Call it a college fund. He takes it well & thinks it’s funny now. We were teasing him about it the other day. “Yeah, like a cat!”, he said with a big Sawyer grin. Well, I suppose that’s all I’ve got for now. We’re still alive! I hope you enjoy the photos…I’ll post more when I can. I’m also working on a video, who knows when that’ll be done!